This week I head south to Cambridge in England. I have driven from Southwest Scotland to Cambridge several times to visit a friend living there. Usually while visiting my friend, I have had very limited time to photograph Cambridge properly, maybe a few hours here and there. My last visit was a little different, since I spent a several days in a hotel in the center of Cambridge and had the opportunity to walk around this lovely university town without any agenda. Walking always lets me process my thoughts better and that leads (for me) to better photography. 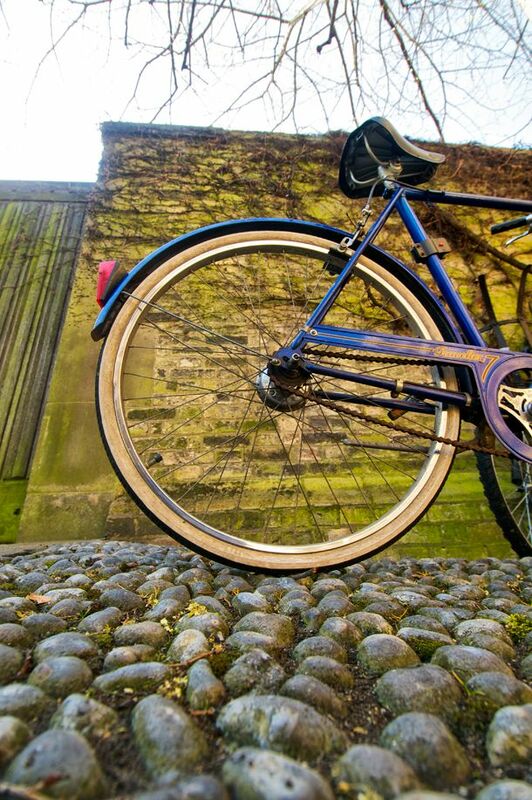 Cambridge is a great English university town with splendid architecture, culture, and people. As I was walking around on the morning of my four day self-imposed photo shoot, I started thinking about a photographic theme that I wanted to do during my time there. As I said there is fabulous architecture and in places like King’s College, there is great culture like the King’s College Choir and art, but photography is forbidden in the church. Also there are lots of people punting on the River Cam (season permitting) which makes for wonderful photographs. Although I kept these scenarios in mind as I walked around, my eyes kept focusing on all the bicycles around the campus. 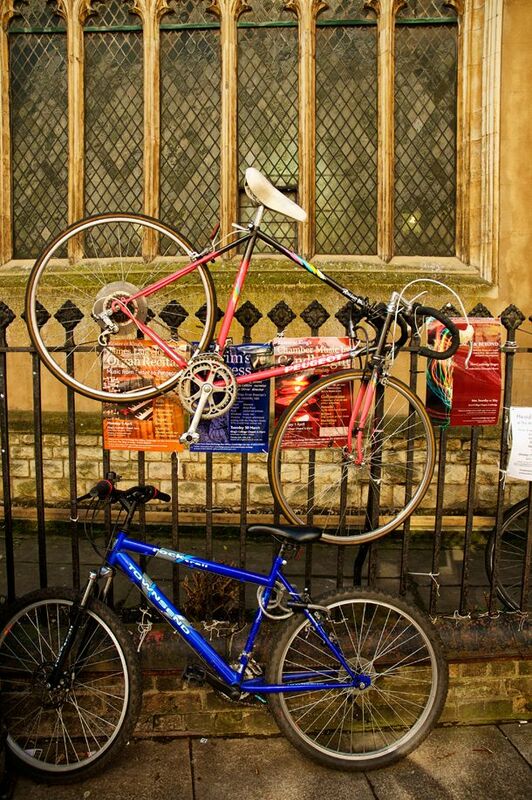 Over the years of traveling on my own and on assignment, I had amassed a collection of photographs on bicycles. If you carry your camera with you and photograph enough, you develop various themes whether consciously or sub-consciously. It might be people reading, boats of various kinds, people sleeping or artists working. 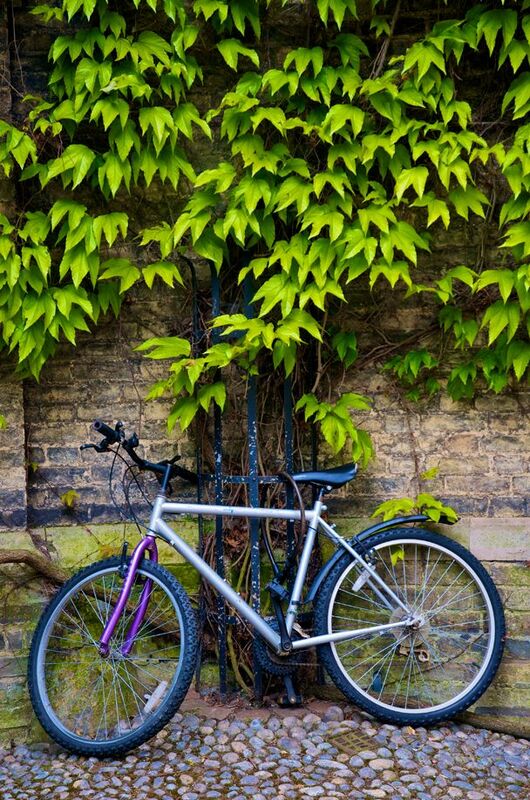 I have plenty of those types of photographs also, but one subject that comes up constantly is bicycles. Whether the weather was sunny, cloudy, rainy or with several of inches of snow on the ground, I have photographed bicycles. 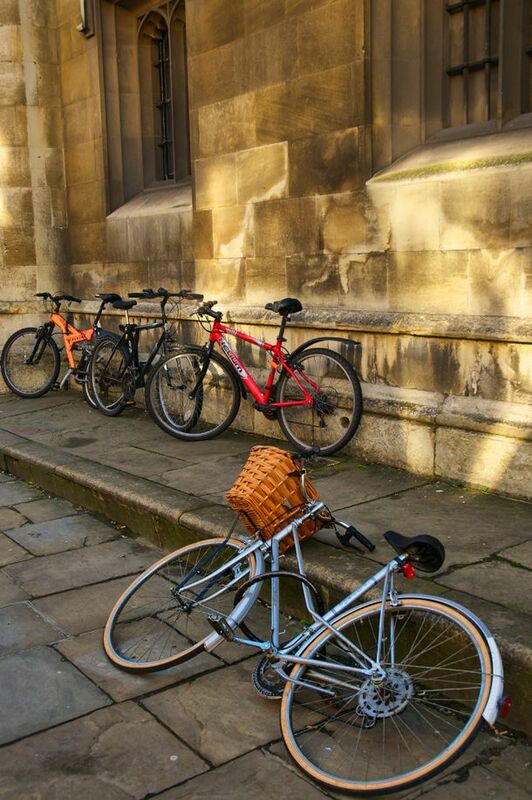 So as I walked around Cambridge, I decided that my main theme would be bicycles. 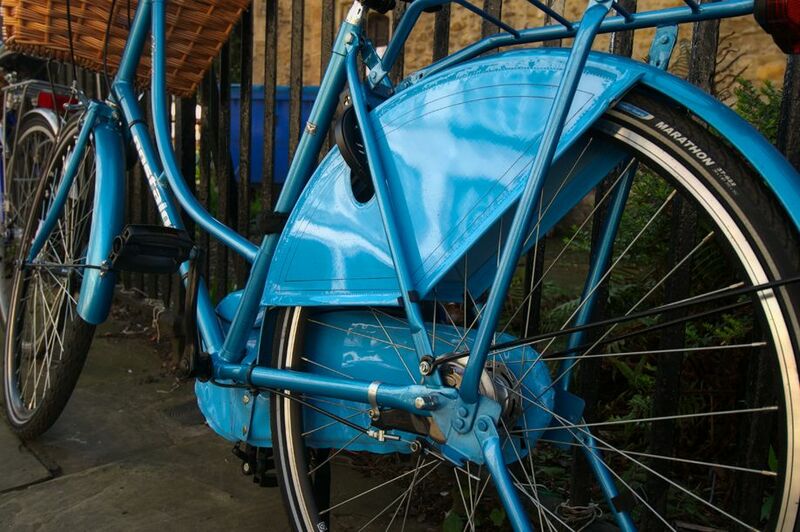 Although I did photograph other subjects, I kept reminding myself that my main goal was bicycles, bicycles, bicycles. 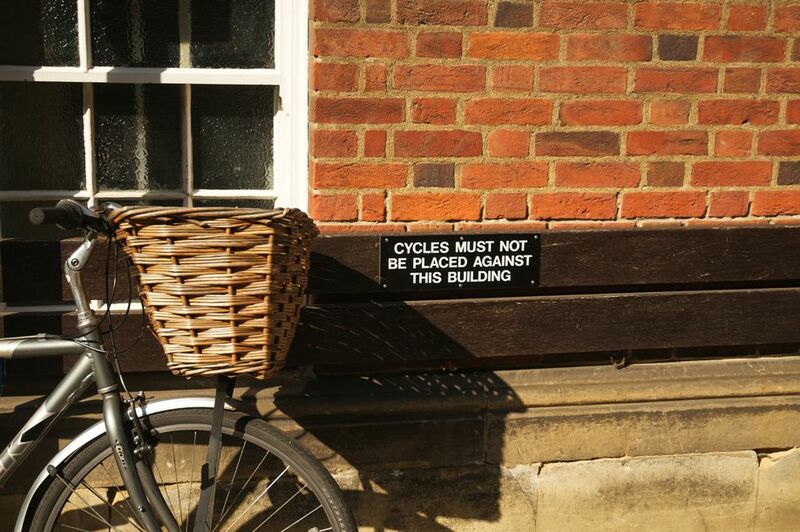 As you probably have seen in British TV productions and movies, bicycles are ubiquitous around English universities and to a lesser extent in the rest of the British Isles. In Cambridge bicycles are everywhere. When I write everywhere, I mean EVERYWHERE. Bicycles are hanging on many wrought iron fences, tied directly under No Parking Bicycles Here signs, used as advertising signs, next to nearly every postal box, and the list goes on. I found it amusing and fun to see how creative students could be in arranging a parking place for their bikes. My friend is moving soon from Cambridge, so who knows when I will get back there again. 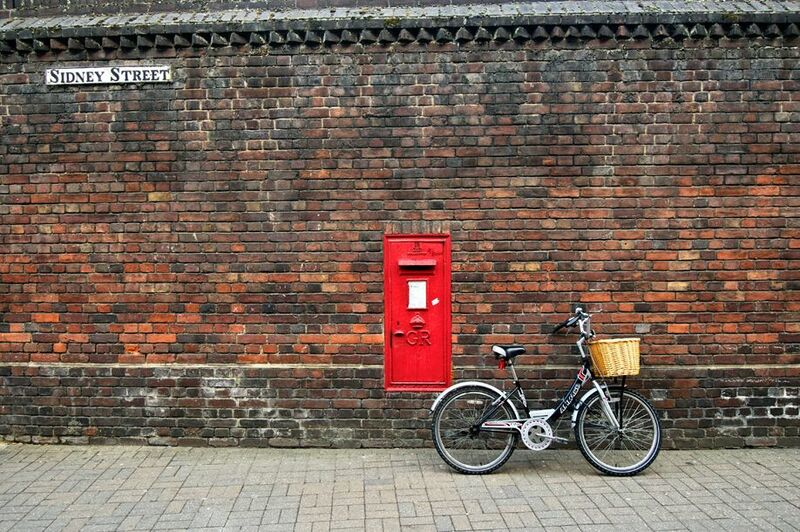 It may not matter, because I will continue to travel and photograph bicycles wherever I go. Bicycles seem to be becoming more and more popular as a mode of transportation as the price of oil rises, so I think I still have years and years ahead of me as a bicycle photographer. Ron Colbroth is an editorial, travel, landscape and fine arts photographer, whose images have been published in numerous magazines in the US and around the world. He has a passion for cooking and enjoying wonderful wines.